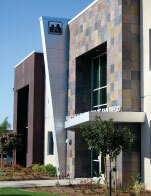 The project consisted of the ground up construction of a 15,000 square foot medical building. The interior of the building included office space, as well as exam rooms. This project required a great deal of coordination, both in regard to working with the various subcontractors and performing the construction on a small jobsite with structures in extremely close proximity.